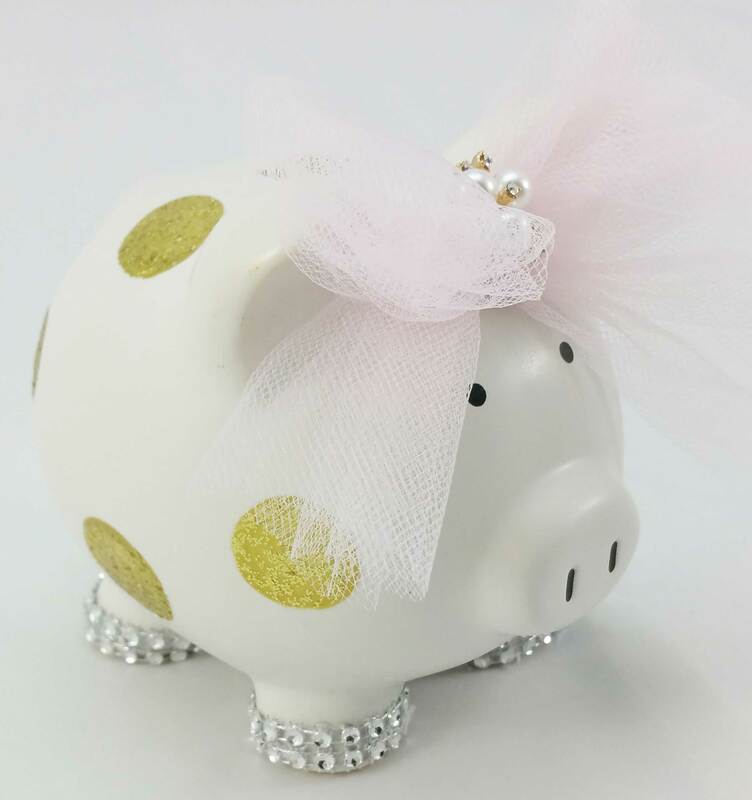 Gold glitter polka dots on a personalized piggy bank. Complete with crystals and a big jeweled bow! this bank is sure to be a show stopper of a gift! 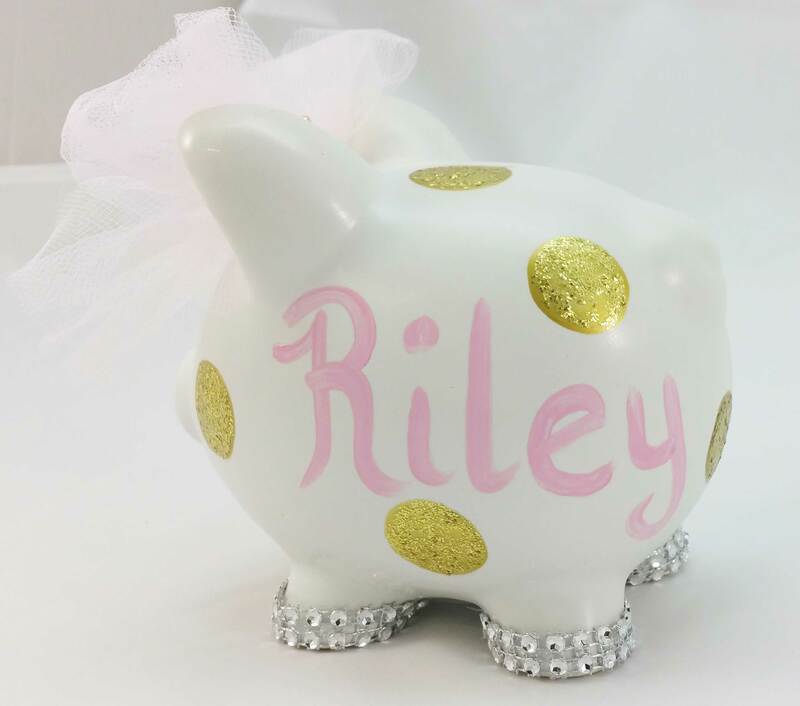 Choose your bow color and we will add your little girl's name to this bank at no charge! Bank is 8 inch size.